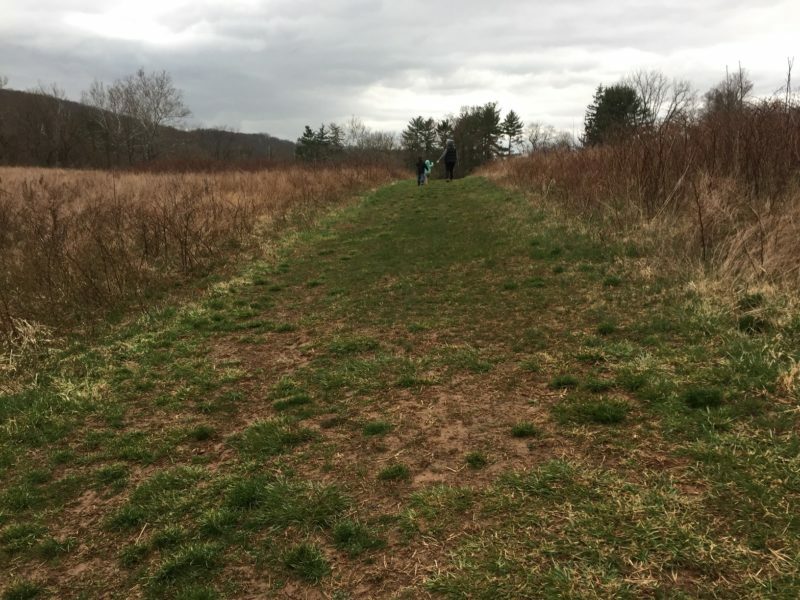 Cromwell Valley Park has many trails that may be combined to create long and short visits. I highly recommend visiting them all to find your favorite. The following is one of my favorite mash up of trails. 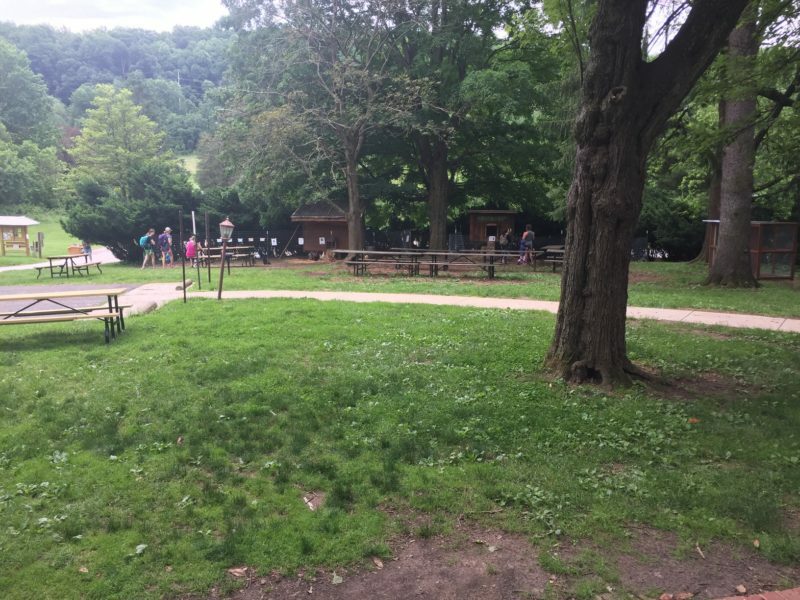 Park at the lot by the Willow Grove Nature Center. If you’re meeting a group I would definitely recommend meeting by the chicken & turkeys as it’s located near bathrooms (portojohns available 7 Days, toilets only when nature center is open), near parking and offers something to see and do while you wait. Just make sure to inform all parties fowl think fingers are worms and they can reach pretty quickly and far through the fences. 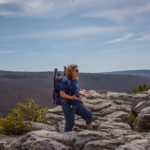 To start this hike, proceed past the nature center, the staff parking, the barnatorium and the research building and walk uphill. At the first intersection of trails again turn uphill to your right. 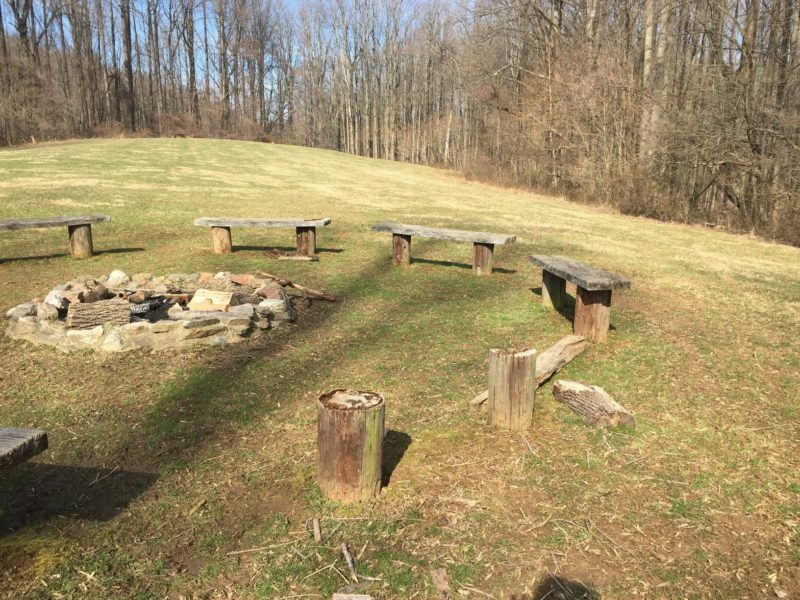 At the top you’ll be at scout camping and there’s a set of benches and fire pit to take a small break at. Run across the “camping” section to the opening of the woods. 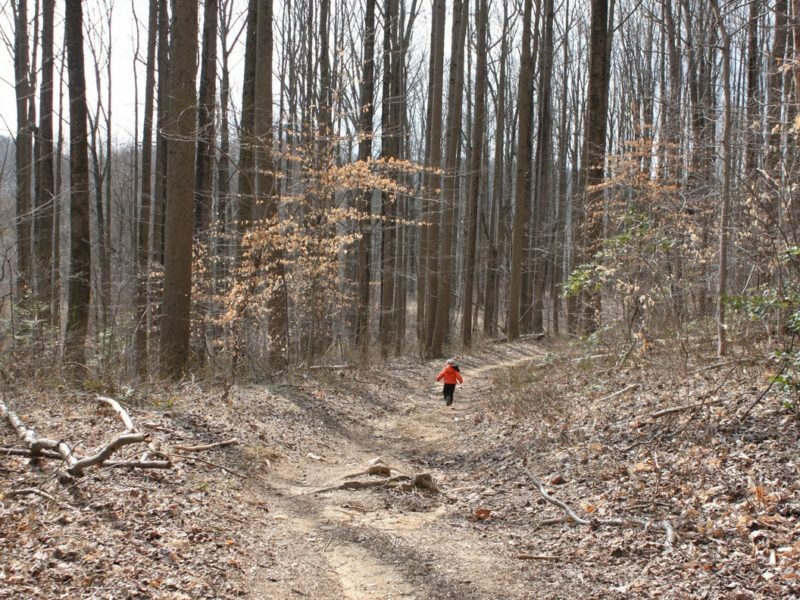 Enter into Loch Raven Reservoir woods (off the CVP) and follow the single track path down hill. You’ll make another intersection where you’ll be soon returning and when you do you’ll want to go down hill to your right (south). Before doing so, make a quick left and quick right (15 feet?) 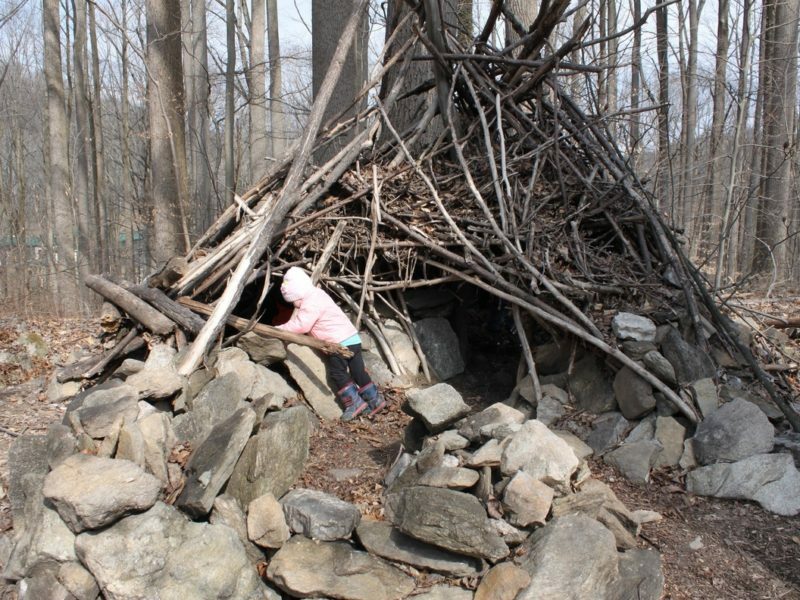 and you’ll have a wonderful hidden teepee to play around in! 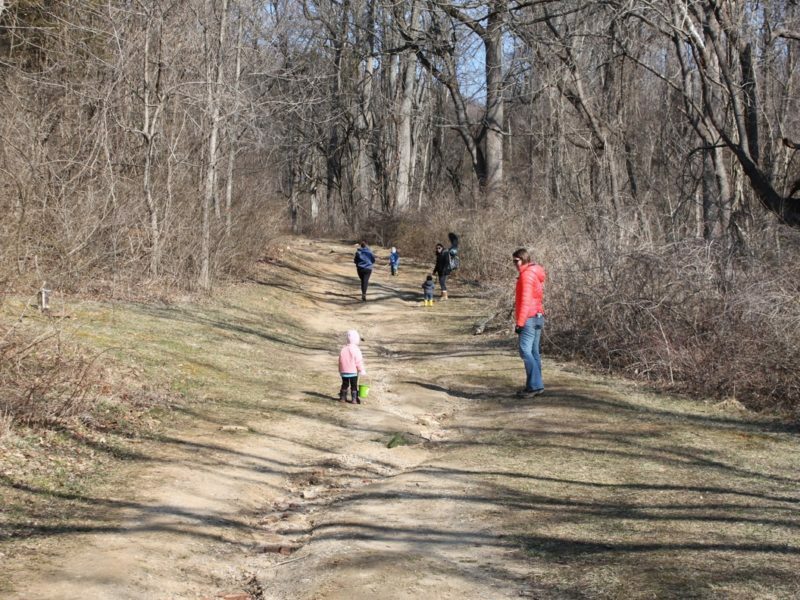 On a leaf free day you’ll see straight to the actual Loch Raven Reservoir Dam! To head further on this hike, go back to the intersection and head south. This turns into a semi-fire road, but be aware it has seen a lot of erosion so for littles watch their step and stumble. Just before you reach the opening of the tree canopy, your return trail is on the right (west). But don’t go just yet. 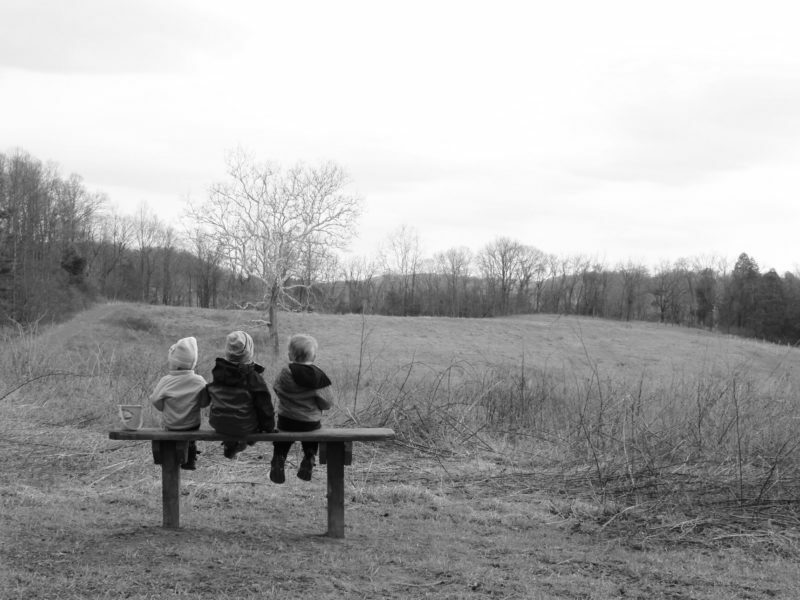 At the opening of the field is my families favorite bench (truly of personal 📷 sentiment) where you can gaze across at the “Ole Sycamore”. 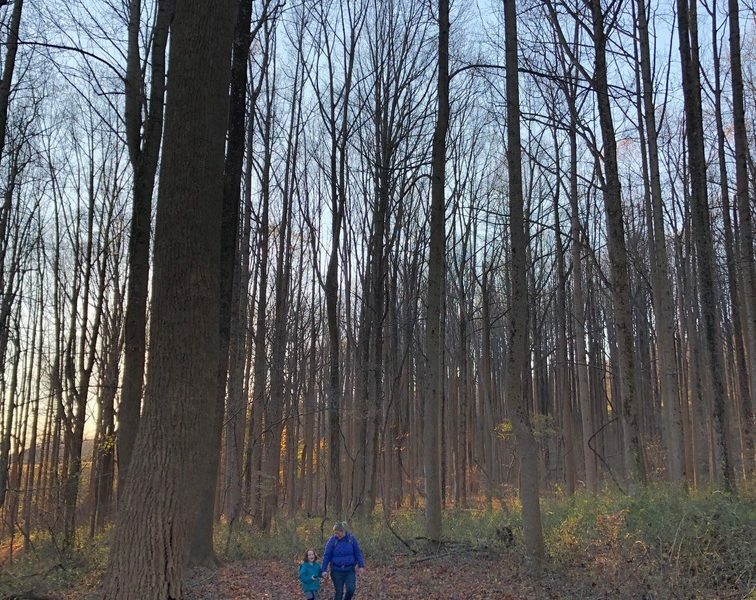 To return to hike, head to the woods and walk back again through Loch Raven Watershed property amidst the Tulip Poplar forest. Gaze uphill with the kiddos and pretend these giants are marching off to battle! Fun fact: Tulip Poplars are known as the lightening rod tree due to their very tall and fast growing nature so don’t get stuck here during a bad storm! After passing the old water cistern on your left, you’ll once again be back on CVP property and on the greenhouse path. Follow the wide mowed path (meadows on both sides) uphill. When you reach the height of the path you’ll see a small white building ahead, and then at the entrance of the small patch of woods you have reached the end. The parking lot and nature center are straight ahead, tucked to the left is a fun nature play space. Nature center is open all days except Mondays. Staff are very friendly and center has a small kid play and learn area. Parking can get packed as the lot is small at this location. Be careful not to park in the road. When there is an event going on there may be a charge to even park so check ahead at events.